Choose from an assortment of business models to meet your needs. Citrus Informatics offers flexible business models to suit the requirements of our clients. Customers who have well defined requirements and project schedules can opt for the Fixed Price Model, where we will undertake and complete projects at pre-negotiated prices with clearly defined deliverables. Under this model, the customer provides the requirements definition. We will analyze the requirements, seeking clarifications where necessary. We will then submit a detailed proposal including time and cost estimates. On acceptance of the proposal, we will prepare the System Design Document and the Project Plan and submit them for approval. Simultaneously, we will build the project team and set up the development and testing environments. Our project managers will manage the project using proven tools and methodologies, ensuring transparency and on-time delivery. After successful user acceptance testing (UAT), deployment and end-user training, we will sign off on the project. Post delivery bug fixing and maintenance support will be provided for a period of time previously agreed upon. The fixed price model can also be used where requirements are not clearly defined but tend to evolve as development progresses. It is not always possible to tell the development team everything you would want in a piece of software before they start building it. Business realities can change so dramatically in the course of development that the finished application can end up being irrelevant at the close of the development cycle. In such situations we adopt an agile software development methodology based on iterative development that encourages frequent inspection and adaptation. In Agile Methodology requirements and solutions evolve through collaboration between cross-functional teams. We subscribe to a leadership philosophy that encourages teamwork, self-organization and accountability. Our team adheres to engineering best practices that allow rapid delivery of high-quality software through incremental, iterative work cadences, taking into account the unpredictability of building software in an environment where requirements keep changing. This methodology helps companies build the right products by providing stakeholders with recurring opportunities to calibrate product releases for success in the real world. This is an ideal engagement model for long-term projects, where the total effort involved cannot be estimated in advance and the scope of work can vary during the course of implementation. The Time & Materials (T&M) model allows flexibility in modulating the team size while optimizing on time and costs, and is ideal for scalable projects where the project scope, specification and implementation plans cannot be precisely defined, and where requirements can change dynamically midstream. 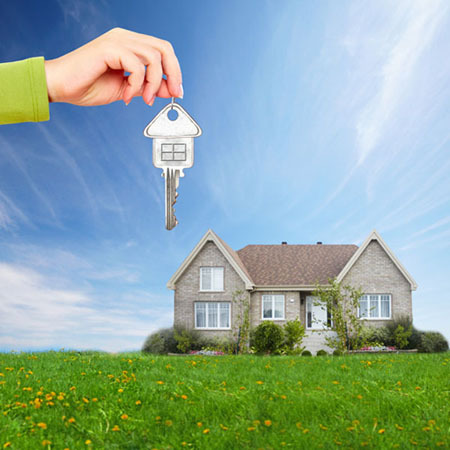 It is also an attractive option for purely maintenance projects. The client pays hourly for resources engaged. Citrus Informatics offers the services of competent project managers and knowledgeable, skilled, motivated and energetic resources who work seamlessly as part of client teams on T&M projects. We are very choosey when it comes to selection of resources. We believe it’s the quality of the resources who work with us that matters more than the number. Each employee is handpicked after meticulously assessing their technical, communication and interpersonal skills. We offer an adequate compensation package, opportunities for career advancement, excellent working environment and challenging assignments to attract the best talent. Citrus Informatics adheres to strict reporting practices, providing clients with regular updates on resource utilization as per pre-defined intervals. Invoices are raised at pre-determined intervals on the basis of pre-negotiated and mutually agreed upon hourly rates for the type of resources engaged. 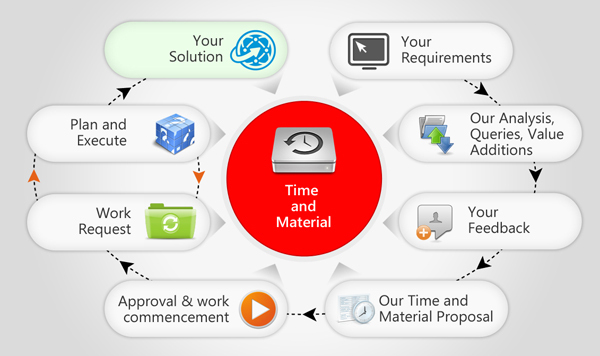 The Time & Materials model offers several advantages. It offers clients a high degree of flexibility to alter specifications, and to rapidly accommodate unplanned activities and adjust project resources based on evolving requirements throughout the development cycle. It allows clients to balance the team size based on project priorities and availability of funds. Clients are always assured of getting what they need and pay only for what they get. The Time & Materials model gives clients greater flexibility in terms of developing the project specification on an ongoing basis and modifying the specifications based on changing market needs. Each organization is unique in its processes and philosophies. The dedicated center model provides clients with a team of professionals that work as an extension of the parent organization’s existing in-house IT facility. Having teams dedicated to executing an organization’s projects give them the advantage of having teams whose times are not split across projects of various clients. This allows for better team focus and creates a more cohesive team. The greatest advantage of this model is the ability for clients to have access to specialized, multi-disciplinary resources at a much lower cost. This model also offers the long-term benefits of off-shoring, with faster and higher ROI. The resources dedicated to an organization are trained on the client's line of business and systems and so provides better integration with the client's existing processes, standards and workflow. In addition to the teams performing design, development and QA, they are also fully equipped with well laid out version control systems with access control, backup and recovery providing complete security to the client’s data. Adopting this model frees in-house resources in the organization to focus more on their core competencies. The client gets the advantage of access to full-fledged infrastructure dedicated to their projects without incurring the up-front costs involved in setting up such facilities. It also offers the time zone advantage which allows organizations to have resources working on projects during their night hours. Payments are made by the client as per the terms of the service level agreement (SLA). Citrus Informatics offers the dedicated center engagement model at cost effective prices. We have a pool of highly skilled resources, having expertise in various technology streams, that the clients that pick and choose from to meet their requirements. Joint technology development is a trend that has been finding increased acceptance in today’s highly competitive business environment. What drives a joint-development arrangement is the ability of each of the parties to bring a needed piece of the technology puzzle to the table. One company for instance may have excellent capabilities in marketing, and may even be able to persuade highly skeptical customers into looking at things their way. But they may lack the requisite skills in basic research, or the practical development expertise needed to launch a successful product. By joining together the companies complement each other. 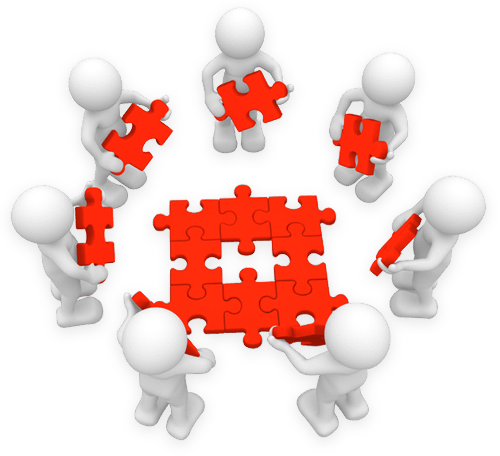 The joint-development model is based on a clear understanding on what contribution each partner will bring to a project. This will include the scope of work, the place of performance, the technology to be used, and a schedule for completion of various tasks, clearly defining which partner will perform what portion of the work. 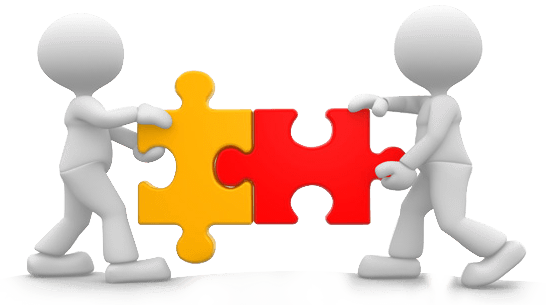 The joint-development arrangement is usually embodied in a written contract between the parties, which forms the framework on which the relationship is built, and which will also cover matters relating to intellectual property rights arising out of the development work. The Build Operate Transfer(BOT) model helps our clients to quick start their off shore business with fully functional infrastructure, connectivity and resources in place. Citrus Informatics helps clients set up remote development centers as per their requirements. Locations for the offices are chosen with their strategic importance in mind. The offices are planned, well designed and equipped at an optimal cost with exceptional facilities. Infrastructure is laid out after meticulous planning by experts in the field. Connectivity being a vital factor is established before operations can begin. Through the entire process, we keep our clients updated on the progress so that the entire process is transparent. Each of the resources for the organization is handpicked and trained to ensure that they are productive from the first day. Operation guidelines, processes and standards are established. We also pay attention to certain key areas like cultural integration, communication, skill orientation and knowledge transfer to bring the new team up to speed. We protect the intellectual property rights of all the artifacts produced during the period of operation under us. We ensure that the unit achieves operational stability and all agreed upon facilities are established before handing over the fully functional unit including staff at a pre-agreed price.